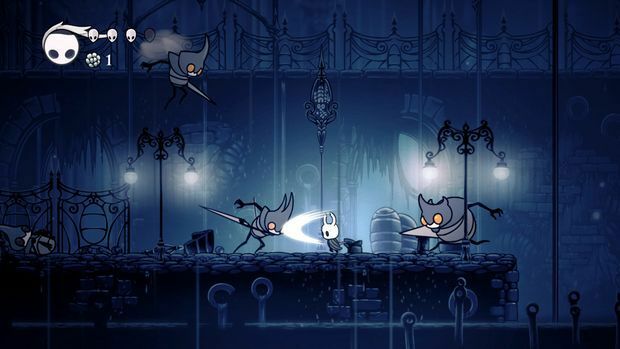 Hollow Knight The Grimm Troupe – Light the Nightmare Lantern. Summon the Troupe. New Major Quest. New Boss Fights. New Charms. New Enemies. New Friends. Hidden Dreams – Mighty new foes emerge! New Boss fights. New Upgrades. New Music.Brave the Depths of a Forgotten KingdomBeneath the fading town of Dirtmouth sleeps an ancient, ruined kingdom. Many are drawn below the surface, searching for riches, or glory, or answers to old secrets. 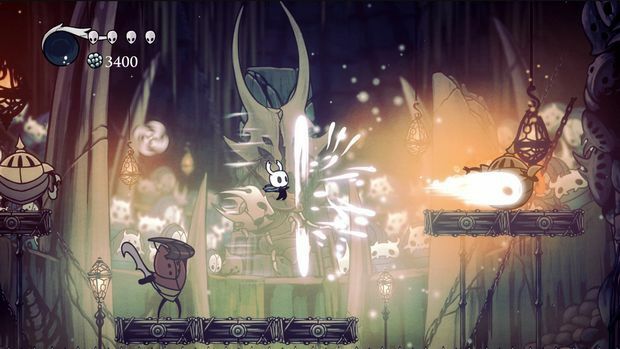 Game FeaturesClassic side-scrolling action, with all the modern trimmings.